Is it only Thursday??? This week is going by soooo slowly. Ugh. Perhaps it’s my own fault for starting the week super jazzed about spring only to be left with days upon days of cloud cover and the looming threat of snow this weekend. It’s the kind of weather that makes you want to curl up with a good book and shut out the world. Anyone have any suggestions? I just finished Beautiful Ruins by Jess Walters, which was maybe not as uplifting as the reviews claimed, but still a page turner. The writing style was pretty fantastic. What I loved about it was that just as a chapter captivated you, the story jumped to a different era, allowing the characters to truly transcend place and time. The novel spans about a 50-year period, using the backdrops of Italy, Edinburgh, Los Angeles, and Seattle to spin a web of stories about the flaws and successes of life. Anyways, I’ve been reading a decent amount of historical fiction combined with food-related memoirs lately, so maybe I need to break into something a bit more lighthearted, fictitious, and adventurous. I’ve heard Tina Fey’s Bossy Pants might give me a few laughs. But I’ve also got Unorthodox, a memoir about leaving a strict sect of Hasidic Judaism, lined up on my nook. Not exactly the cheerful and blithe read I claim to be looking for… I’ll let you know what I land on. Are you thinking about hosting a party or maybe baking something up? Were you inspired by our March Madness weekend and thinking about having your own basketball event? Or maybe you are stumped on what to bring to your next book club? Let’s make a deal. I’ll trade you these suggestions for a book recommendation. 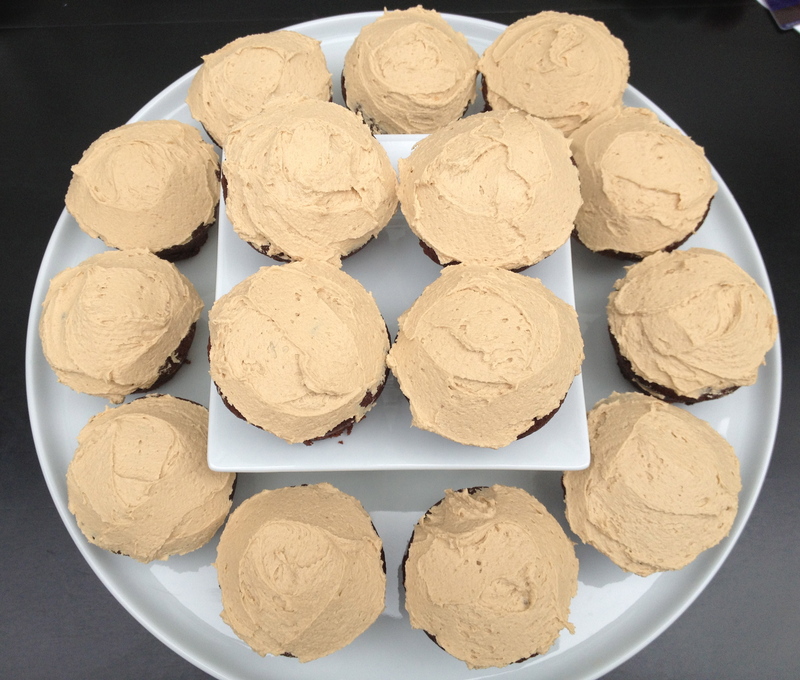 If you are feeling more ambitious than I am and are not planning on sitting around reading all weekend, here are a few more tasty bites from our festivities last weekend. 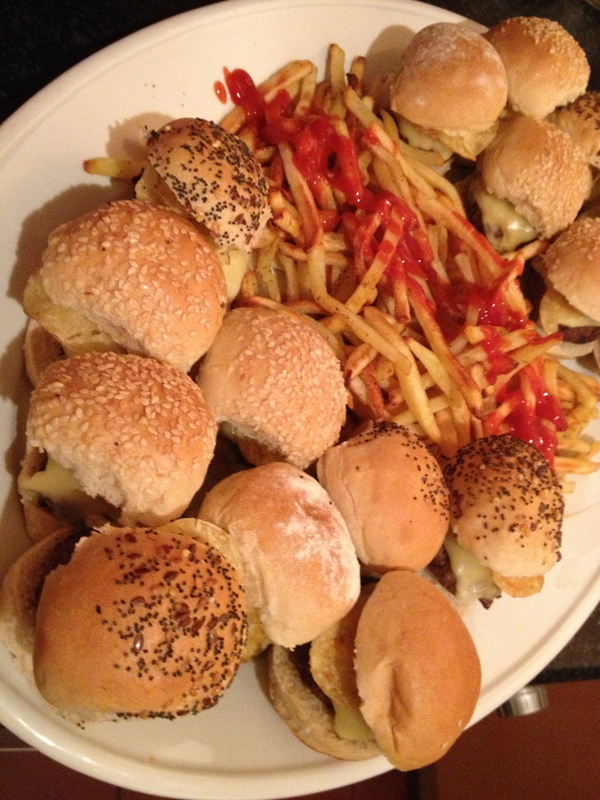 First of all, a really great way to make entertaining simple is putting out a platter of mini burgers with oven roasted fries. You can prep your patties in advance and then grill them up in a matter of minutes when your guests are ready to grub! 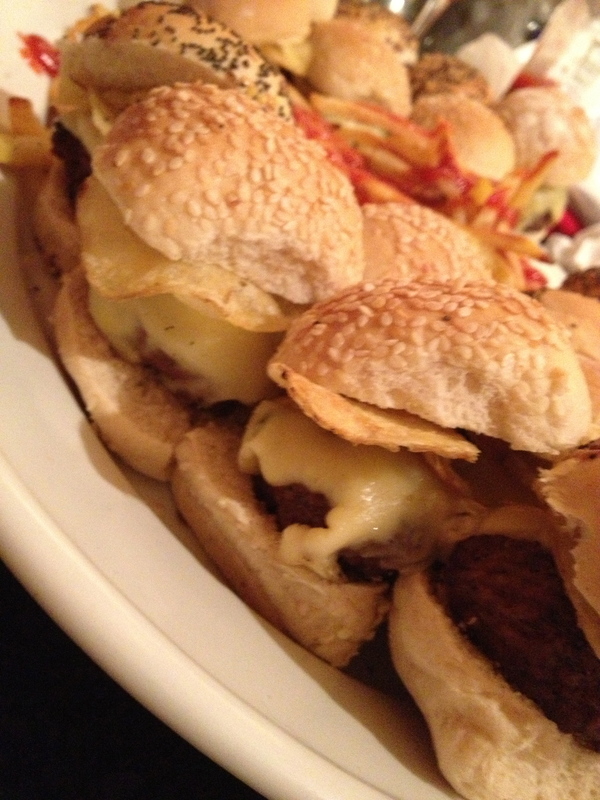 This platter of burgers is inspired by Bobby Flay who coined the term “crunchified” at his Bobby’s Burger Palaces throughout the east coast (and apparently Ohio). His classic burger is simply perfection with potato chips and lots of American cheese. Of course, not being in America, I substituted Edam, which is a very mild melty cheese. Seriously though, this is so easy. I would keep the burgers themselves very simple: just salt and pepper and your favorite cheese. But you will have some very happy friends asking, OMG did you put chips on these!?! Why, yes! Indeed I did. More in the mood to bake this weekend? Have any leftover Guinness from Sunday’s festivities? Or is that sacrilegious, a crime against St. Patrick himself? Maybe you didn’t get your fill of the famed Irish beer over the weekend, so go get yourself a few more and set aside about 1 cup from one bottle/can for this awesome dessert! I have to give full credit for the Guinness & chocolate cake base to The Hungry Housewife, but I changed up her bundt cake by making cupcakes. This batter recipe will make about 18 cupcakes, and cook in almost half the time (20-25 minutes). 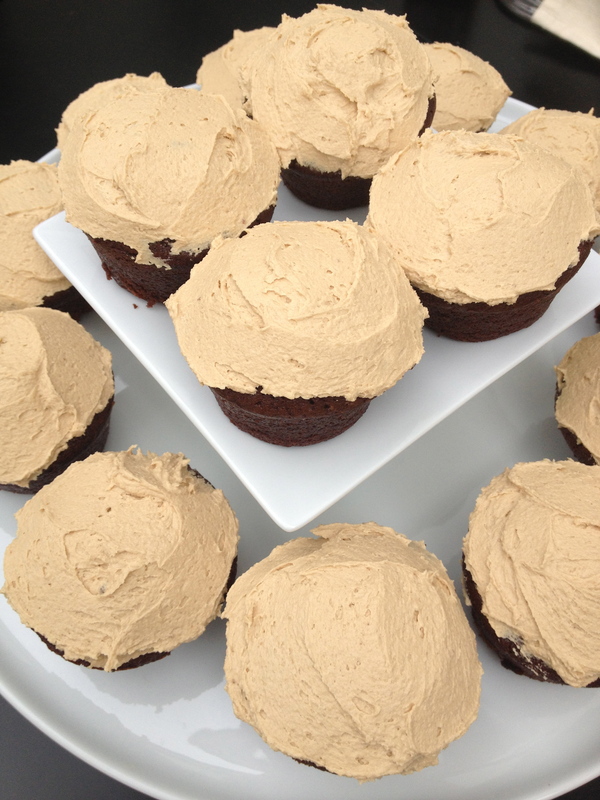 I loved that the cupcakes are not too sweet and the Guinness enhances the cocoa in the same sort of way a hint of coffee or espresso would. But what really made these a wow dessert was my icing – thanks to Trader Joe’s ingenious cookie butter. I made the icing the same way I would a peanut butter icing, just substituting cookie butter: 1 cup butter (room temp), 1 1/2 cups powdered sugar, 3/4 cup cookie butter. Enjoy!! !